Confused by the overwhelming range of choices of trekking companies to climb Kilimanjaro with? Unsure which hiking routes, climb dates and prices to choose from when planning to climb Kilimanjaro? So were we when we first climbed the mountain in March 2000. But work your way through this site (there are more than 100 pages! ), reach out to one of our advisors, and we're confident that all your questions will be answered swiftly and you'll easily understand who to climb with, what route to take, and how simple it actually is to ensure that your Kilimanjaro climb is as happy and successful as possible! 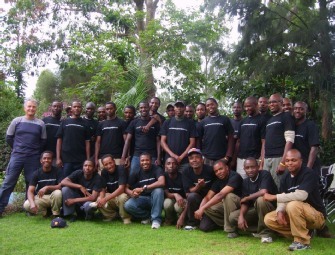 Established in 2004, and having assisted more than 10,000 trekkers to the summit, Team Kilimanjaro has redefined the mountain climbing market by bringing the operational standards and procedures of a dedicated crew of world class mountaineers, athletes and adventure specialists to Mount Kilimanjaro. The widely acclaimed authority on high altitude performance, Team Kilimanjaro has pioneered unique ascent strategies carefully conceived to maximise your personal safety and summit chances when hiking Africa’s highest mountain and the world’s largest non-massif mountain. Should You Climb with TK? What's it Like Climbing Kilimanjaro? Track a friend or relative on their trek with our Google Map. Friends and relatives wanting to monitor the health and progress of loved ones while they climb can offer words of encouragement on our climb reports blog. Keep an eye on Mount Kilimanjaro’s weather as you prepare to fly out. New climbers can find many open climb dates to join here. Should You Climb with Team Kilimanjaro? Our climbers are generally busy and discerning people who we suspect appreciate our getting straight to the point. So, we'll do so. Readers with no previous personal experience of the Tanzanian tourism industry will be aware that there are many Kilimanjaro operators all purporting to offer pretty much the same thing: guided ascents of Kilimanjaro. 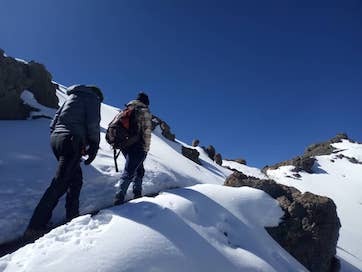 Statistically speaking, you've probably arrived at our site because you've heard from a friend or colleague that has climbed with us that based on their observations on the mountain we are likely the best Kilimanjaro operator in Tanzania, but really, you're keen to determine this for yourself. And if your friend climbed with us a while ago, you're probably wanting to know whether we're the kind of company that sits on our laurels, or that strives every day to be better than we were yesterday. Either way, we hope it's safe to assume that what you really want to know - since we by no means offer the cheapest climbs on Kilimanjaro, is: what's Team Kilimanjaro's competitive advantage? What are our areas of excellence and superiority? Or, put frankly, what is TK's unique selling proposition? We believe sincerely and wholeheartedly that the extent of our passion for and engagement (or arguably, obsession) with, the mountain, coupled with our team's proven depth and breadth of experience and expertise in determining the best route variants and ascent strategies for climbers of all ages and levels of physical fitness; together with our inexorable desire to please and satisfy all our climbers to an extent that we always hope exceeds their expectations, mean that when booking a climb with Team Kilimanjaro you may rest assured, confident that you are maximising your prospects for safe and enjoyable summiting, while enjoying courteous, respectful and friendly treatment from a superb team of self-disciplined, motivated, caring, grateful staff who truly love their work and who can’t wait to serve you. And we believe that any research you undertake will consistently bear witness to the accuracy of this claim. 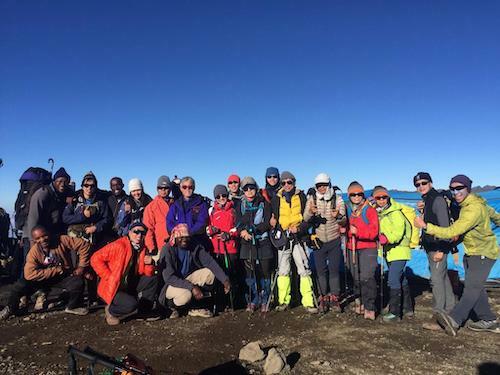 Is Team Kilimanjaro the best Kilimanjaro tour operator? While we certainly aspire to be, are privileged often to be told by clients that have climbed with us that they believe we are, while we have been selected as the tour operator of choice by the leading Kilimanjaro guide book author for his esteemed clients for the last ten years, while we are deemed to be the obvious choice for, and are regularly approached by extraordinarily high-achievers to assist in setting world and national records on Kilimanjaro, and while we are continually striving to be the very best we can be and to imbue all our staff at every level with a sense of personal expectation that is concordant with this ambition; nonetheless, it still feels rather ill-bred to ourselves state categorically that TK definitely runs the best Kilimanjaro tours. Best Trek Operators For Whom? While the overwhelming majority of those who contact us are the kind of people that we feel would thoroughly enjoy climbing with us and who'll get on very well with our staff and appreciate our company values and ethos, we don't claim to be the best fit for everyone. We say this because there's a small minority of people that contact us who ask questions that seem to indicate that they're looking for something we don't offer. They appear to begin their search for a company with some assumptions that we don't actually share - notably, that Tanzanian mountain guides are untrustworthy and will defraud their colleagues if afforded the chance. And rather than approaching an expedition with undistracted focus on summitting and making great new friendships along the way, they instead seem to believe they have a dual role as the expedition's policeman whose job it is to mediate between the guide and his crew. This perception is very much at odds with our view of the Tanzanians we work with. Having worked with several thousand Tanzanians for 14 years in an environment where we are exposed to them daily, for a week at a time, where it's difficult to hide ones faults, we can state without reservation that we are constantly overwhelmed by the quality of their character, their loyalty, their warmth, their hospitality, and their sense of duty and responsibility towards one another. If, therefore, a prospective climber is thinking of approaching us with a line of questioning that essentially aims to determine whether our company has abrogated its responsibility to take good care of its staff to a well-meaning NGO that claims to know better than fellow mountaineers what constitutes safe and reasonable working conditions at high altitude, then to this small tranche of well-meaning people we would gently suggest that we are not the best Kilimanjaro climb operators for your particular needs. While Mt Kilimanjaro is one of the world’s largest topographical features, none of the six routes requires any technical skills or specialist equipment to climb, (though for Western Breach climbers we recommend that some supplementary equipment be considered). And although the height gained from the different start points to Kili’s peak at 5,895m is around 15% greater than from Mount Everest’s southern Base Camp to its summit, the ascent of Kilimanjaro does not require the use of slow and arduous Himalayan-style siege tactics, or of supplemental oxygen. It is therefore a perfectly manageable - and hugely fulfilling - challenge within the context of just a week or two’s holidays - provided the trekker has found enough time to do some fitness and endurance training at home beforehand. For those as yet entirely unacquainted with the mountain, Mount Kilimanjaro is a volcano situated quite close to where Africa’s three main tectonic plates meet. For perhaps distantly historical reasons, there remains a widespread misconception that Kili is either in Kenya or at least straddles the Kenyan-Tanzanian border. This is not true, however, as the mountain sits entirely within Tanzania and is managed by the Tanzania National Park Authority (TANAPA), through the local administration of the Kilimanjaro National Park Authority (KINAPA). There is therefore no sense in which an expedition can legally be launched from within Kenya, and all attempts must be registered at either Londorossi (Shira and Lemosho Routes), Machame (Machame and Umbwe Routes), or Marangu Gates (Marangu and Rongai Routes), in Northern Tanzania. Unlike mountainous regions in most of the developed countries of the world, Mt. Kilimanjaro cannot be accessed solo, or without paying fees and subscribing to local regulations. We are sympathetic to the objections of some climbers against the stringent constraints of timings, movement and method, that are imposed by these regulations, but it should nonetheless be understood that the National Parks of Tanzania are resources that are costly to preserve intact, and that the entrance fees that they accrue are a very valuable source of revenue to a grateful country that suffers a GDP per capita of approximately just 1.3% of that of the UK, and that in order safely to manage the sought-after high volumes of climbers that attempt the mountain every year (between 20,000 and 35,000), the authorities deem it necessary to exert a very careful degree of control over factors such as camp locations and direction of travel. While we are often told by those who have climbed with us - including professional athletes - that they underestimated how difficult it would be to climb Kilimanjaro and that it turned out to be one of the hardest things they had ever done in their lives, in spite of this, almost anyone who is willing to train two or three times a week for three months, and who is strongly self-motivated and does not give up easily when faced with hardship and mental and physical discomfort, would be expected to reach the summit, Uhuru Peak. That said, we encourage readers to explore this website in some detail, as there are nonetheless some inevitable - but largely mitigable - risks to the health and safety of trekkers on the mountain that everyone should be aware of. Risks of this nature include the onset of Acute Mountain Sickness (AMS) and its possible development to life-threatening conditions such as pulmonary or cerebral oedema (HAPE and HACE), if not identified and treated at the earliest stages - a process that largely requires the climber’s own cooperation and communication - as well as non-lethal threats that can compromise an otherwise successful tour, such as failure to anticipate the extent to which low oxygen environments inhibit circulation. 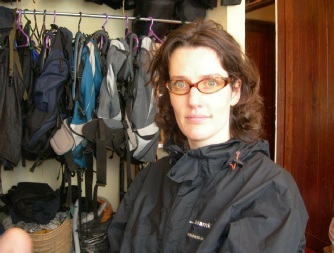 Such considerations may mean that in spite of the fact that a climber has previously experienced comfort while wearing ski gloves at minus 15 degrees Centigrade when skiing at 2,000 metres, at 5,000 metres they will nonetheless risk frostbite at only minus 10 unless they wear generously filled down mittens, or similar. These issues are not obvious or extrapolatable from non-altitude related pursuits and since we have encountered many disappointed climbers on Kilimanjaro who evidently did not consult their organiser in very great depth, we would emphasise the extent to which early and detailed communication with your chosen expedition coordinator is in your best interests, if wanting to summit comfortably and safely.